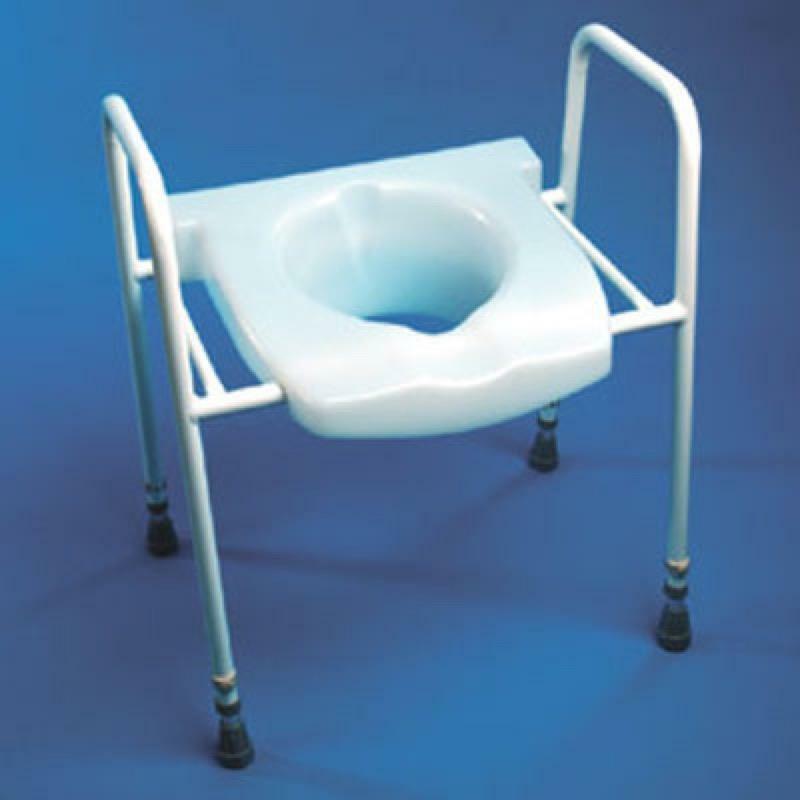 The Bariatric Toilet Aid is suitable for the heavier user and is designed to fit over a traditional toilet to provide a higher seating position. The Bariatric Toilet Aid is suitable for the heavier user and is designed to fit over a traditional toilet to provide a higher seating position. The side handles also provide additional support when required. The height adjustable frame is extremely sturdy and is constructed from peel resistant plastic coated metal. The one piece moulded antibacterial seat can easily be removed using the clip on/off mechanism. The seat has also been ergonomically contoured and features a partial cut away at the front and rear to facilitate personal hygiene.